I hope that you have all had a good break whether abroad or in SA. I know that many of you are still away and may only be back in a few weeks’ time. However, DCS went back to school this week so our lessons and other school-related activities will resume from Monday. Please note the new "Dates to Diarise" towards the end of this mail. We have an action packed term. We have our Zoo trip planned, the fire department visiting the Grade 3s as "fire safety" is one of the themes as well as a "fancy dress" lesson building up to heritage day. Our on-going "Wish Lists" and calls for assistance with any contacts in terms of internships for our FEP students are also included below. The Green Group will be without a leader for the first few weeks. Memuna who will be taking over from Liza, will only be back in a few weeks’ time. Ms Mphaka will take the Green Group. The Green and Purple groups will be doing similar work this term and we are going to be aligning the themes and sounds to what has been prescribed by the education department in the relevant week. However Gillean (Blue) and I (Pink) will still be going at a slower pace and will spend more time on basic reading and spelling skills and won't follow the themes as closely. There is no lesson plan for this week. 3) sound targeting buddy reader activity - reading and discussing a story "Roy the spoilt boy" and underlining words with the target sound. We will meet at Dainfern Valley Shopping Centre outside Piatto at 9am as usual for a brief meeting and will then go onto the school. WE WILL ALSO CONTINUE TO "SPREAD A LITTLE LOVE" FROM MONDAY WHERE WE PROVIDE PEANUT BUTTER SANDWICHES AND/OR A BAG OF APPLES FOR THE KIDS AT DCS. We would like to propose a few changes to our Tuesday programme due to the fact that our current learners are now ahead of the rest of the Grade and we would like to work with another group of children who are really struggling and need to start at the beginning of the Pink level. I will send out a separate mail to all the volunteers who usually join us on Tuesdays. We will play educational games as part or all of the lesson. We are hoping that all the Tuesday volunteers will be able to join us earlier than usual and meet at Piatto's at 8:30am on a Tuesday so that we're able to get to the school for a 9am start. The "Baby Club" - a new initiative being run by Anthea with her team of volunteers meets on Tuesdays. The next baby clothes "swap" is scheduled for Tuesday 1 August 2017, directly after the grade 2 English lesson. If you want to follow the Baby Club and see what they're up to .. follow this link and "like" the Baby Club Facebook page. The Sewing Group will resume on Thursday 3 August 2017. Anthea and Meghan will be running the Sewing Programme on a Thursday now so that more focused time can be given to this much needed project. This will run fro 10am to 1pm so that both breaks are covered. If you want to read more about Meghan's project "Ngangifisa" and how she feeds child headed homes on a monthly basis with the support of many of you - visit her Ngangifisa Facebook page. 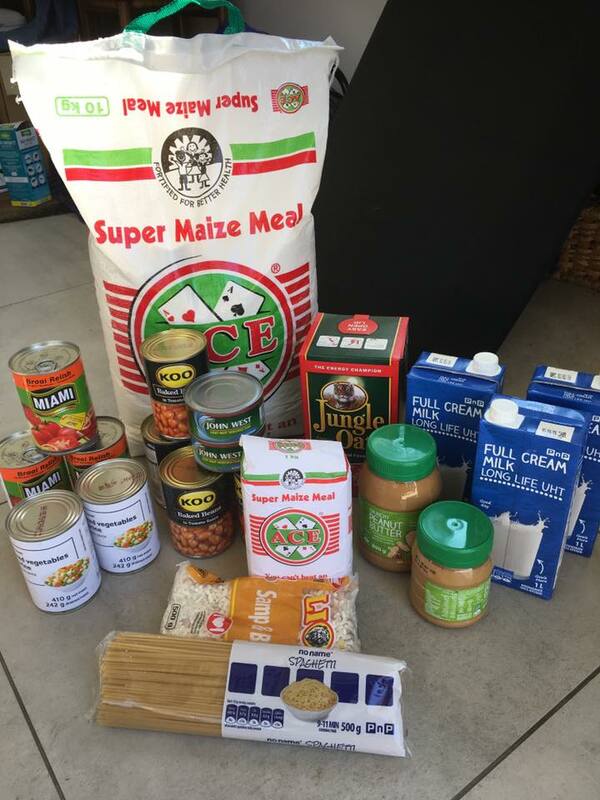 The best way to support this project is by donating a few non-perishable items (such as those in the picture below) to add to the parcels that the families get each month. The Zoo trip has been scheduled for Monday 18 September 2017. As we have more learners than usual this year we will be appealing to all volunteers to assist us on this day as well as to invite some of your friends. Details will be shared with everyone once they are confirmed. 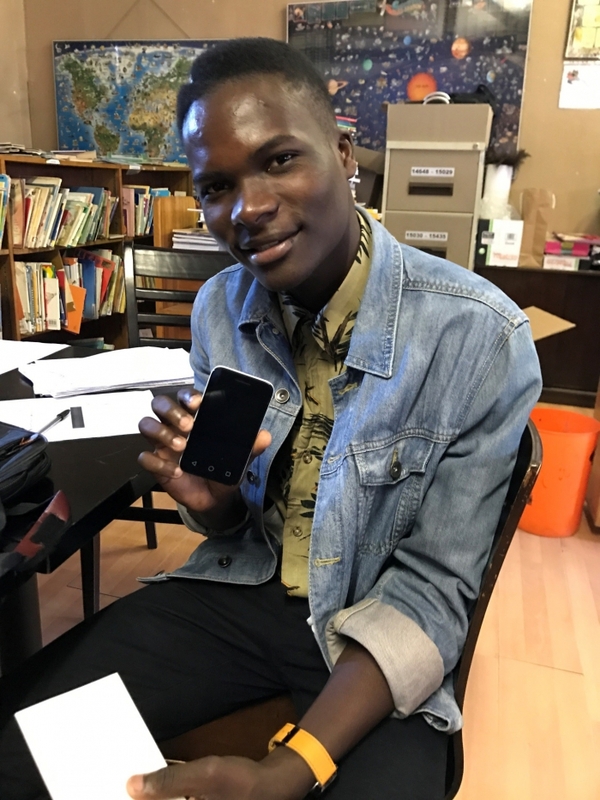 Lucky (Lehlolonolo) and Gladwin are also FEP students looking for an opportunity to do complete an internship in Information Technology. 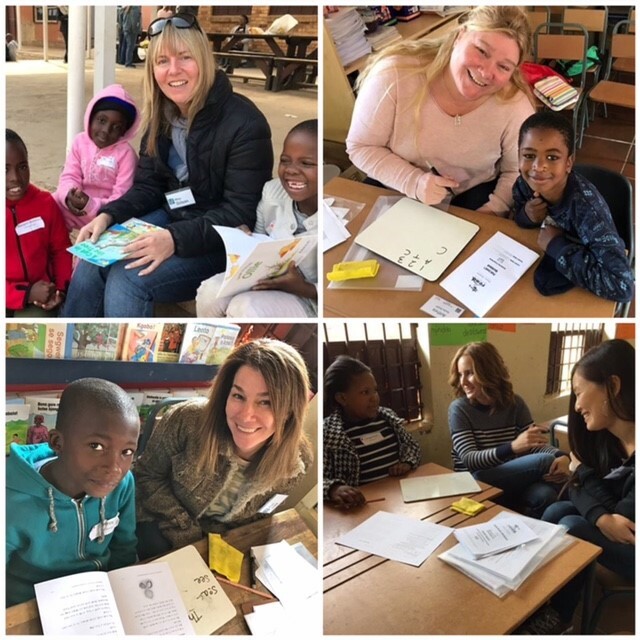 The recent Holiday Programme was a great success thanks to many EDU FUN volunteers who gave of their time as well as those who sponsored children to attend. Liza, Gillean, Anthea and Meghan who assisted with the build up to the event – the grouping of learner, planned activities, lifting, shopping, making sandwiches etc. as well as being Buddy Readers together with Gayle, Liz, Jutta, Aneta, Karin Breuer, Karin Blomgren and Sachi. 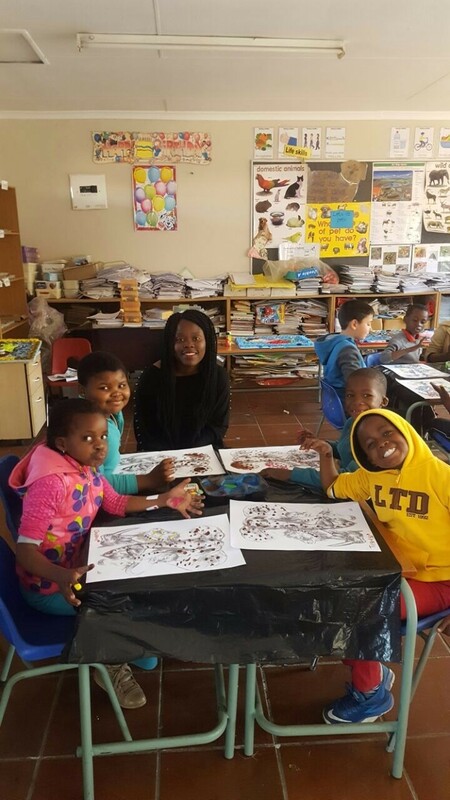 Confidence and Charity, two of our FEP students had the opportunity to give back as they volunteered their time and expertise at the Holiday Programme. Confidence assisted with the Art and Charity with the Sports Programme. Looking forward to seeing our regular volunteers next week, or whenever you return from your travels.